We have almost no context yet, but there’s big news tonight: Osama bin Laden is reportedly dead. I’ll be blogging for a while adding context, but please share your thoughts in the comments section below. 11:35 p.m.: President Obama just reported the death of bin Laden himself in an announcement at the White House. As you’d expect, he started by recalling the deaths of more than 3,000 Americans at the World Trade Center, Pentagon and in Shanksville, Pa.
11:37 p.m.: Obama says he told CIA director Leon Panetta to make killing or capturing bin Laden his top priority. The White House received a lead last August, and a small group of Americans conducted an operation in Pakistan on a compound today to get him. After a firefight, they collected his body, the president said. 11:40 p.m.: “Over the years, I have said repeatedly that if we received actionable intelligence that bin Laden was hiding in Pakistan, we would take action,” Obama said. He credited Pakistan with helping in the operation. 11:42 p.m.: The president just thanked counterintelligence and counterterrorism personnel for working to keep the U.S. safe. He has not said who carried out the mission, but the assumption is it was a CIA operation. 11:46 p.m.: There are now hundreds of people celebrating outside the White House, CNN reports. 11:49 p.m.: Multiple reports on Twitter say it was U.S. special operations team that carried out the mission, but it’s not confirmed. 11:57 p.m.: For perspective’s sake, the White House Twitter feed is online here. Thanks for the comments. 12 a.m.: Additional context is becoming available about where bin Laden died. The compound was in Abbottabad, deep in Pakistan. 12:05 a.m.: Here’s an initial wire story on the news. 12:09 a.m.: For reference sake: Adolf Hitler was declared on May 1, 1945. 12:11 a.m.: CNN reports that the National Security Council met five times since mid-March. 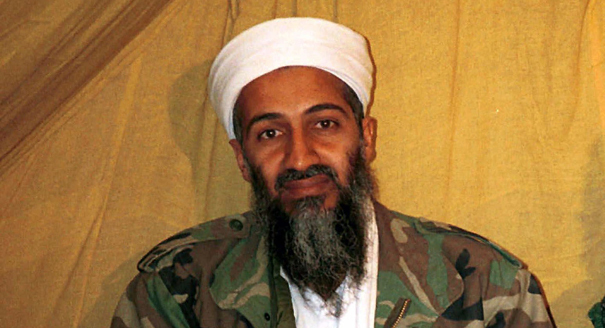 The order to attack bin Laden’s compound was given Friday. That the US Military has killed Bin Laden is good, but I have a question. Was this the head of a snake or one of a hydra? Our celebration must be tempered with the caution as we move forward in our military missions. This indeed is a great day for the people of the US and a great day for peace loving people all over the world. That’s an excellent point, Stone. It’s good news, nevertheless. As a veteran, with veteran children serving overseas, this is wonderful news indeed. I can only hope that the current administration will now start a concerted withdrawal from areas where we are not wanted. Bring them Home!! Thank you! Hopefully Irans leader will take heed. The war is not over, but it is a great day! The country is feeling so patriotic and close right now- it’s amazing! Proud to be a Marine wife! This news brought a big smile to my face because many 9/11 victims will finally rest in peace. And maybe a possibility of many of the troops coming home to their friends and family. Thank you for everything they have done!